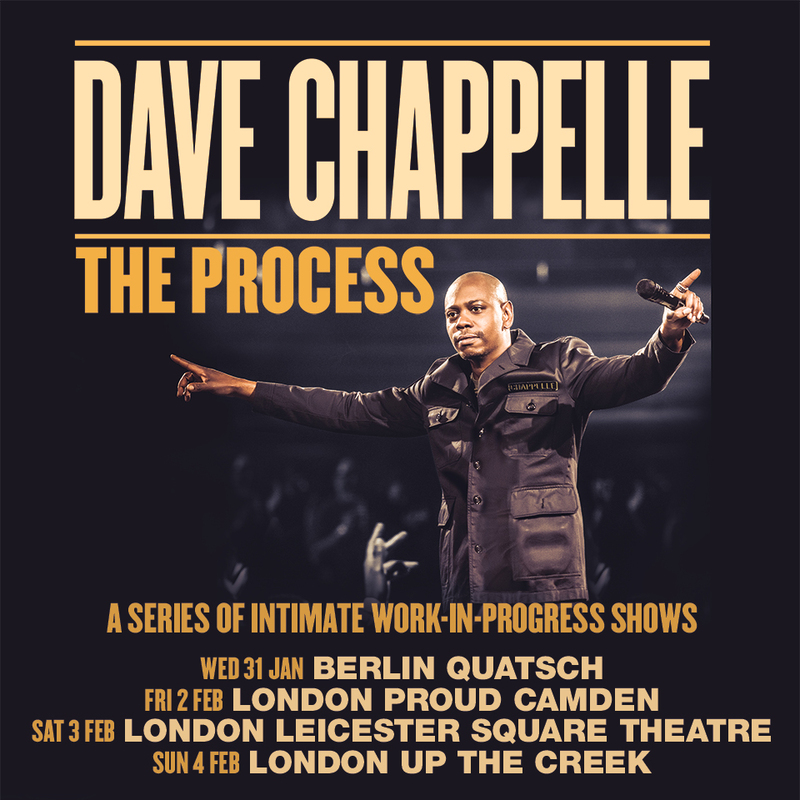 Chappelle is heading to Europe! Dave Chappelle has announced that he will be bringing his live show London and Berlin. The US comedian will be performing a run of intimate live shows in both cities that will feature work in progress material. Tickets for the shows will be limited, with tickets for London going on sale at 10am on Saturday 27th January via Live Nation. The comedian will perform at Berlin's Quatsch venue, before travelling to London for shows at Proud Camden, Leicester Square Theatre and London's The Creek. Chappelle’s shows will be using Yondr technology and there are strictly no mobile phones allowed inside. Anyone who brings a mobile phone will be required to place it in a locked Yondr pouch and anyone caught with a cell phone inside the venue will be immediately ejected.